Welcome to J.S. Metaboot's Web Boot Services! One way to attract abundance is to reach out and help it to find you! A website provides an access point into which abundance may flow. Similarly to the powerful benefits and rewards of creating a vision board, a website catapults your vision into the Universe. 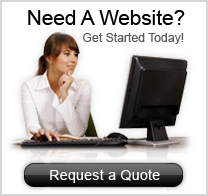 Click here for a free quote to utilize J.S. Web Boot's expertise and maximize the fruit of your website development efforts. Click here to explore website packages and add-ons for a quick start! J.S. Web Boot will manage your website project by working with the service providers you may already have in place. If you are starting from scratch, or if you want to update and invigorate your current website, we are here to spearhead your website presence so that you can focus on your core business. We enjoy the technology and creativity of website development. Therefore, we are happy and eager to be your website resource professionals. Web - (noun) an abbreviation of website. (adj.) describing a type of content and media, e.g. website content or website boot. TurnHere Internet Video - Custom video brings your website to life and attracts more visitors and improves SEO. Your video helps potential customers get to know you better and gives them every reason to choose your business over the competition.